OOC: Gonna try a new type of thread out. ISM threads will be longer threads with a continuous story written by members of staff that players will participate in. If the player's like it, we'll do more of these. Based on your group's.... efficiency in the mission, there could be bonus rewards at the end. The hunter boards seemed pretty dead today. Perhaps people were taking in the weather or simply enjoying Izlude in general. Whatever the case, there was no one at the hunter boards besides a man draped in a cloak. Not much could be seen of his face, but based on his body type and stance, he was a shady merc of some sort. A few game and went as the man stayed and waited.... waited for some swords for hire he could speak too. OOC: Surprised no one started this yet. Brie, having just recently obtained her hunter license, was naturally eager to prove herself. There was something riled up within her that made her want to be seen as a strong, protective member of society. Just the same she had a burning desire to learn more of herself, her past, and figure out why she knew nothing of the sort. Being this way, she knew travelling the world was the only way she might obtain some knowledge of her situation, and travelling could not be done without proper training, and hunting experience. This is what led Brie to the hunter boards. It was only scarcely filled with people coming and going, but one individual stood out amoungst the rest. Brie wondered why he simply stood there, something must be up with him. As she walked up to the man, she was dwarfed. At only 5'3, Brie looked like a child compared to this man. Brie walked to him, looked up at his eyes and spoke confidently, "I would ask if you're awaiting friends--but judging from your appearance, you don't seem like the type to have many. Which means you're likely awaiting for someone to assist you on a hunt, are you not?" OOC: I might as well join this too. I was deciding whether to wait for a new quest or to do this. Lucilla made her way down to the hunter boards. With each step her tail swished, this was a sign of her good mood. She was wearing her fox mask, black straps wrapping around her blonde hair to hold the mask in place. Her fox ears were flickering from right to left picking up the sounds of the street. Lucilla was wearing what could be called casual clothes, consisting of her sweater and black shorts. However the truly odd thing about this mysterious person was the long naginata that she held in her right hand. The few people who happened to pass this person in the streets gave them odd looks. Some wondered why they were carrying a naginata, others wondered what was with their mask, some even wondered about their gender. Nevertheless nobody would approach somebody so suspicious. She came to the hunter boards, looking for something that would fill her pockets. The life of a hunter was hard, living from quest to quest. Fighting various beast, however this was the life that Lucilla choose. She didn't regret the choice, this was simply because she enjoyed this life. She usually fought beasts, however there were times when she put her sword for hire. The boards seem pretty dead, few people coming and going. There was one sight that caught her eye, it was the cloaked man. He emitted a aura of confidence, one only warriors could emit. His body physique would make working as a mercenary or something along those lines ideal. In the corner of her eyes she noticed a woman walking towards him, her ears adjusted towards her direction, hearing her footsteps easier. Lucilla stepped closer to hear the conversation that they were going to have, after all there was nothing else interesting going on around her. "I would ask if you're awaiting friends--but judging from your appearance, you don't seem like the type to have many. Which means you're likely awaiting for someone to assist you on a hunt, are you not?" The woman said with confidence in her voice, Lucilla wondered for a second if the woman just wanted to strike up a conversation with the man merely because he seemed to be her type. However she quickly dismissed that thought. Why would a woman be dumb enough to approach a suspicious person merely because they were in their strike zone? Lucilla appeared like she was reading the hunter board, however if one could look close enough they would notice her ears adjusted in the cloaked man and muscular woman's direction. Her body was tense, as if she was concentrating trying to make out every word that they said. Upon closer inspection, the hooded merc seemed to almost be a dealer of sort. From the tiny opened spot in his cloak, battle scars decorated his face. His left eye was shut, sealed by a X shaped scar. It was unknown whether or not it was actually destroyed beyond use or if the man simply kept it closed. He glanced the approaching female, scanning her up and down. For the job he needed done, she definitely didn't seem like the person to do it, but he was busy and hadn't had any other biters today. "Yes, you could say I'm waiting for assistance, but it's not for a hunt." He said. The man sounded shady, but a lot of hunters did seem shady, especially skill and caster types. They could technically be above the law out in the wilds. There's no one enforcing the rules out there, so power determines who is right and who is wrong. "I need a certain package delivered. The mission needs to be done silently. I'll give you the package and the meet up point for my client. If you accept, I could make it worth your while. The man said. OOC: Phannny are you playing as Crow or Zeik? Brie listened carefully to the Man, and quickly mulled over the request. She was very eager to travel and hunt, however she was cautious--it seemed an odd request. At the same time, however, in travelling to deliver this package, perhaps, she thought, she could learn about her past. Unsure how to answer, Brie took another second to form her thoughts into words. "I'd like to assist you, but I want more details. I know some things are private--but why are you not delivering this package yourself? Are you simply lazy--or are you scared to venture out on your own? I don't mean to intrude--but I see no reason to assist someone when I'm uninformed of the assistance. I'll assure you this however--I can deliver silently." Brie scratched her shoulder and awaited the man's answer. She was still very skeptical, unsure of what the intentions of the delivery were. It seemed strange that such a large, menacing man would be asking assistance--perhaps he wasn't as strong as he appeared, she thought. The Omega Scion, after an arduous journey from Isera, finally made it to the hunter boards. Unlike his past journey, this one only took a couple of weeks - he had enough knowledge of the land at this point to where he can get to places faster than he ever could after leaving the Valkyrie Shoreline. 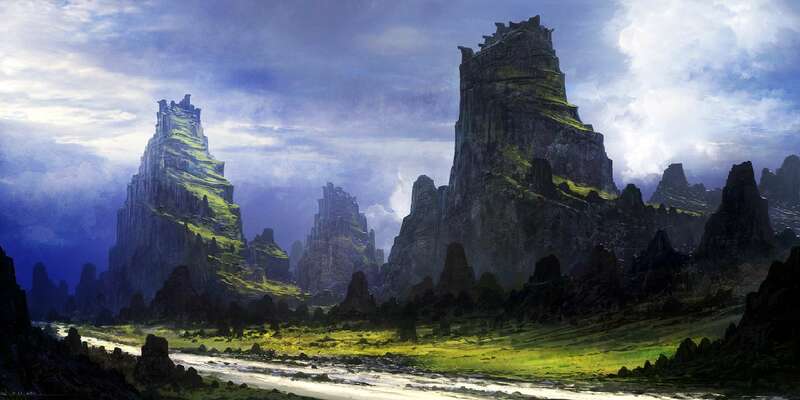 That, and Chrome's guidance as made a world of difference as she knew all the shortcuts through the Elven Forest; after all she did know them like the back of her hand. Locke gave a quick scan of the hunter boards. There were very few people around, most were likely on their own individual adventures or hunts. This was somewhat discouraging for the onward-bound Omega Scion. "Chrome is gonna want and adventure lined up for us to go on, but I wonder what kind of quest she be willing to go on," Locke pondered to himself in a whisper, "...perhaps one of these guys will have something good for us," when the Omega Scion's eyes met with the mysterious dealer, a grin formed on his face as he gave a nod of his head to the side, signaling to him silently that he wanted in on his quest, "I'm in. What are details?" Lucilla was interested in the quest that the shady man was giving the woman. Delivering a package might sound easy, however if you add a shady man and doing it silently into the picture it's a whole another thing. She looked to her side only to see a rather short muscular boy giving the quest board a look. Turning her attention back to the man's quest, she decided that she should go ahead and join in as well. Turning around she made her way towards the cloaked man and the short muscular woman. "I would also like more details." Lucilla said speaking in a fake husky voice. She was always wary about revealing her gender to other people, usually because males are the ideal people to go to when speaking about missions that have conflict in them. However she wasn't sure if this mission would have conflict or not, hence why she took the precautions. Lucilla held up her naginata higher to make sure the cloaked man and woman could see that she was prepared in case the mission had conflict. "Of course if you don't mind me joining that is." She added afterwards, still speaking in her fake husky voice. "I'm not just a simple hunter." He told Brie. "First, I am a supplier. I deal with tech armor and weapons. My clients are those... out in the wilds, where it is hard to find such merchants selling quality goods." Glancing between the trio, he stuck a hand in his robes and pulled out a tech datapad. On it was a map, detailing the location where the trio where to drop off the package. It wasn't too far outside of Izlude, but still far enough that they might run into trouble. "Should you accept, I can have a hefty reward for you three. I'm quite the salesmen." He said, making sure all of them were onboard. Brie was shocked at the appearance of not one, but two others, both wanting in on this delivery. One was a fox--Brie knew beastmen were typically stronger than your average human--however the child worried her. He appeared confident and fit enough for travel, but she worried if he was skilled enough to partake in a trip outside the city. Brie turned to the fox girl--puzzled by her voice. It didn't sound right, regardless, she nodded at her question and answered with a simple, "Of course." Brie turned her attention to the cloaked man, nodding in turn at him. "It sounds like a nice trip. I'm interested. What kind of a time frame are you requesting we complete this delivery?" Locke eyed the cloaked man carefully. He can tell this was under-the-tables business, but by the attitude of the individual next to him, the masked one had no qualms about getting hands dirty. Locke wasn't too keen on it, but he knew that his father had to do some sick business when he was younger than even Locke himself; so that wasn't an issue. That, and Locke could always use some funds for his adventures - being him just ain't easy. "Tech delivery, eh? All right, I'll still do it. Just don't go changing the coordinates on us while we're out there and you better have clearances taken care of so that way no super troopers or anything related to law enforcement come after us. Bandits and monsters we can handle on our own," assured Locke with his arms crossed as he looked to Lucilla and Brie, "What say you two? You still in? Lucilla only offered nods to the words of her, as it seemed, companions. Lucilla stepped up and looked down at the Datapad, getting a good estimation at where they were going. She had no qualms about the mission as it seemed yet, she was always prepared to slice some monsters and bandits up. Stepping back towards her companions she offered a nod to the boy's words. "I'm still interested. I just hope you both can handle yourselves." Lucilla said still using the fake tone, holding up her naginata. "No offense but do understand that I'm going off appearances." She added. "Include detailed information about where we will meet you afterwards, tell us a bit about the clients we will be dealing with if you can. More so their personalities." She said in her fake husky voice once more. Lucilla was confident in her strength, after all she was the only person on the planet who could use the amazing Shusen style, and she would be the one to develop it further. Her tail was swishing back and forth casually as if she considered the mission easy. Looking at the group of three they had a odd, dainty beastman, a over-confidence kid as it seemed, and a muscular woman who didn't wield a weapon-as it seemed. This truly seemed like a weird group to pick for a delivering mission. The cloacked man was relieved at how the trio responded. They were much more informed of these deliveries than he thought. He brought out of suitcase he had been hiding under his cloak and handed it to the 3. "Here's the package. Details of the location are on the map. Clearance for a package this size isn't needed, but if you do run into trouble with the law because of it, the datapad should have all the clearance you need." 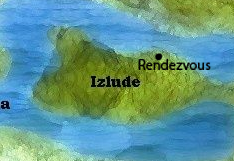 The datapad displayed a map that pointed to the top right of area around Izlude. "If you run into trouble outside of the city, the briefcase is your top priority." He said. "And lastly, do not, under any circumstances, open the briefcase. There is a lock on it anyway, but don't get any ideas." Brie smirked and nodded at the child, stating "Of course I'm still in, it doesn't seem too difficult." [i]"...I just hope you both can handle yourselves..." Brie heard the fox say. After she finished speaking Brie held out her left arm with her hand open, palm up. In an instant Brie conjured up a fireball and threw it down, it caused a small explosion and a flurry of dust, leaving behind a small hole in the ground. "I think I'll be fine," Brie said confidently. "But let's not forget we're all going on this trip--there's no sense fending solely for oneself. If one of us dies it just makes it more difficult on the others. From here out, we're a conglomeration." The cloaked man spoke and offered the briefcase, Brie watched as the child snatched up the briefcase. She grabbed the datapad to look over their route. She was glad--the other two seemed as confident in themselves as she. Brie glanced at each in turn, "From what I can tell then, we're all set. You both seem confident enough, as am I. I'm going to assume you're both ready to take off immediately, then?" Brie glanced at the datapad, then pointed North-East, "If so, we head that way!" She said ecstatically, eager to get on the move. Brie then looked to the fox, offering the datapad to it, "You beastmen have a better sense of hearing don't you? You should lead the group then, hopefully you'll hear monsters and we can re-route more quickly if you do." Locke took the briefcase as he left the datapad to Brie. He was preferring the masked one, as he/she seemed like a sufficient tracker and navigator, perhaps more than Locke himself. Hopefully he can trust these two with the task at hand and get his money, or else Mr. StealYoGirl will be stealing a lot more than what his nickname portrays. He'll be stealing their heads. "Hopefully the case is well warded, sir. A simple steel lock won't exactly-You know what, never mind," Locke retracted in a defeated tone, knowing that even with wards his Shatter ability would still break the case in pieces regardless, "We'll take it from here. Now, are we keeping our names secret or would you prefer to know who you're dealing with for the sake of good business?" She looked at the girl who had just threw the explosive ball of fire and gave her a nod of approval. Having a mage was always good, a team needed a versatility of talents. The woman was the mage, Lucilla was the swordsman, and the boy.... he could be the meat shield. At least Lucilla thought he would be a meat shield since she didn't know how useful he was yet. "I agree." Lucilla said in her husky tone at the woman's words. What they needed now was trust, nobody wanted to be tense when sleeping with some unknown people. Trust was essential between teammates. She looked as the boy took the briefcase while the woman took the datapad. She watched as the woman then handed it to Lucilla after looking over it a brief second. Lucilla took it as it seemed like she was the designated person for this. Of course it was obvious to leave tracking with the beastman. "Okay, I'll try my best." Lucilla said once more and gave a quick nod of the head. She heard the boy's words and gave a quick nod of her head. She held the datapad in her right hand while her left hand moved to pull the straps from her head. After pushing the straps to the side and over her ears she took off her mask to reveal a cute, effeminate face. "My name is Lucilla Eudokia, sole user of the powerful Shusen style!" She stated in a cute voice, puffing her chest out as a sign of her pride. "I don't think we are going to need any food, if we get hungry we could always kill some monsters and use them for food. I'm ready to go." "No." The man said bluntly to Locke. "I won't care for your names until I know you're capable of completing the mission. Now if you don't mind, I do need the package delivered as soon as possible. My client isn't very... patient." The man was trying to rush them along. The receiver of said package was a very blunt and powerful man and he doesn't like having to wait. Brie chuckled to herself at Lucilla's display of pride, not because she felt above Lucilla, but because the way she did it was adorable. Still, Brie was curious about this Shusen Style she mentioned. Perhaps one day she could learn it from her...Brie shook her head, forget about that for now, Brie she thought. Brie's expression turned from lighthearted to a calm seriousness, a very determined look. She began to walk North-East and turned around. "Alright then, sounds like we're all ready, Care to take the lead, Miss....Eudokia was it?" Brie stood facing the other two for a moment, then turned around and started walking again. Locke's face blushed over when he saw Lucilla take off her mask, revealing that she was in fact female. A cute one at that, no older than Locke himself was. He was also curious as far as to the whole Shusen Style that she mentioned about. Was it the same as the Omega Arts, his father's combat style that only he knew? The curiosity was blasted out of his mind as Locke started rubbing his temples. "Mother of God, it feels like I'm in a shotacon. First Chrome, then Bestari and now Lucilla," the Omega Scion muttered to himself as he turned away to hide his face, then spoke aloud, "All right, ladies, no misogyny intended, let's bounce!" With that he followed behind Lucilla should she decide to leave. Since she was their navigator and tracker, it was best that he were to follow behind her. "Alright then, sounds like we're all ready, Care to take the lead, Miss....Eudokia was it?" The woman asked and started to take off, she looked behind herself to see the meat sh- the boy muttering something incoherent to himself. She had started to wonder if the boy was a little crazy, however Lucilla wasn't exactly the ideal person herself. "All right, ladies, no misogyny intended, let's roll out!" The boy had said and with that Lucilla quickly moved in front of the woman leading the way. She put her mask on her naginata and placed her hand over the mask's straps holding it onto the naginata. She looked at the datapad to make sure they were going the right way. "Hm, so why don't you guys introduce yourselves as well? We might as well get to know each other we do have quite the walk ahead of us." She asked as her fox ears shifted from right to left, proof of her keen hearing do it's works. Lucilla seemed pretty open with her mask off, it took the weight off her shoulders when she found out that she doesn't have to hide her gender. "Oh! Do you have any questions for me?" She added. The man watched as the trio walked away. Once they were quite the distance, he began off in the opposite direction. He placed a hand to his ear, activating his communication device. After a brief silence, someone on the other end responded. "Have you sent the package?" The low, raspy voice asked. An evil smirk crossed the man's face. "Yes, I've sent the package. I've also sent 3 toys for you. They seemed to know some sort of fighting styles, so be sure to bring a few men along. Do what you want with them." Brie followed a few paces behind Locke, close enough to hear and speak with each other, but far away enough to help keep an eye out on their surroundings. Brie was the first to respond to Lucilla's question, "My name is Brie Begonia. You can refer to me as you please." She said rather unexpressively. "Oh! Do you have any questions for me? Brie heard Lucilla ask her and Locke. Again she was the first to respond. "Yes actually, I do. Why did you use that faux voice earlier?" "I'm sure it's to intially conceal her identity, Ms. Begonia, same with the mask. Of course the real surprise, Lucilla, was that you're quite...," Locke blushed increased as he continued to walk and decided to introduce himself, "wait, where are my manners? My name is Locke Versetto Bault." As the Omega Scion walked, he looked at the case carefully, "Ya know, the guy should have really put some wards on this thing, like master-class wards. If this thing turns into too big of a hassle, I'm going to destroy it. " "I'm sure it's to initially conceal her identity, Ms. Begonia, same with the mask. Of course the real surprise was that you're quite...," The boy had said, this earned a quick nod from Lucilla. He then introduced himself as Locke. "See, in the business I come from, which usually has hunting and fighting girls are consisted inferior to males. Of course I can't really argue with that since girls were made weaker, however! I will not allow them to refuse me. I will make the Shusen style known as the greatest style, for that I cannot help but take missions that requires combat. So it's best that I hide my gender for the reason of taking dangerous quest." She said her voice filled with pride as she started to talk about the Shusen style. It was quite obvious that her pride rested in the Shusen style. "It seems like you are confident Locke, was it? What do you do then? After all Brie here seems like a excellent fire mage, I'm proficient with my naginata." She asked her fluffy tail swishing from right to left matching up with her steps ever so perfectly. Brie wondered what sort of abilities Locke had--the way he spoke of wards caused her to think perhaps he was some sort of thief--it would make sense--his small body and innocent age could make it easy to go unnoticed. Brie listened intently to Lucilla--who again spoke of the Shuse. Style, She seems talkative--perhaps I could learn more after all. Brie spoke to Lucilla, "Lucilla, it may not be my place to talk--but if you put as much pride in your gender as you do your fighting style perhaps you could help change how men view us as a whole. Speaking of, I'm interested in this fighting style--you said earlier you're the sole user? Did you create it?" Brie turned to Locke, "I too would like to know of your abilities. You seem confident in your abilities to crack open this case--you have experience in those arts?" "Spatial magic, shatter disassembling. Works on anything," answered Locke quickly in order not to go into detail as to what it meant, "And sorry, lockpicking isn't my style. I'm not exactly a...detail-oriented individual. I'm more of a visionary, a big picture kind of guy. My little brother, on the other hand, is the opposite - meticulous, but no vision." Locke listened on to Brie and Lucilla spoke regarding feminism and the Shusen style. He knew firsthand that women have become more independent over the years and that's all well and good. His own mother could fight and win against anyone she wanted to fight without taking any damage at all. As for Lucilla being the sole user, he had his own thoughts. From what he could gander, Lucilla was far too young to be a creator. Rather she was a successor, a student that carries the burden of being the art's sole survivor.